OK, just a tip for the future, and this shouldn't sound/meant to be unfriendly: Please don't use any automated tools like TDSSKiller, ComboFix etc. with no expert because it fixed an legitimate driver and that could be the cause of the issues. It maybe "destroyed" your AntiVirus being honest. Did you have the issues before TDSSKiller Run or after? The problems with MalwareBytes crashing was before, but the whole computer crashing may well have been after. I'll have to double-check with partner, who may recall better. And, it is appreciated insight, even if it emphasizes error on our part. OK, then uninstall everything what is related to Norton and run the Removal Tool for Norton, instruction on how to do this can be found here. Tell me if this solved the problem. If not then we know that it wasn't TDSSKiller's fault and we have to check other things. History: Ran Malwarebytes and Spybot simultaneously for routine check after Windows update; Spybot found 18 items; removed all but 5 IIRC — these included the Conduit/Open Candy items and listed win32.downloader.gen as the other, which it couldn't remove. Malwarebytes was running, had found several items, and then crashed in the middle of searching (at the same place, approx. each time), giving us the blue screen of death. 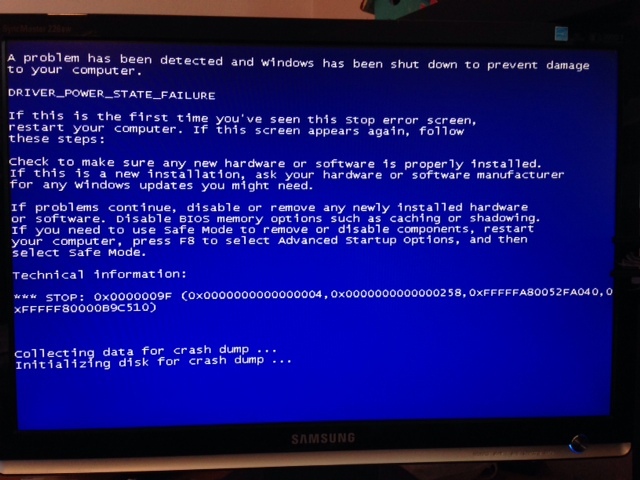 Restarted computer, ran again, ended again with blue screen. That was when we went on to find webpage with instructions to use TDSSKiller, etc. When things started to go completely haywire and we noticed the zlobdownloader endings when we reran Spybot, we came here for help. Ran Norton Removal Tool, restarted in normal mode. Went to Programs, to see if other Norton program removed — still has Norton Online Backup, clicked to Uninstall, and windows explorer stopped working, requiring a restart (which it started on own). I chose safe mode with networking, but when I tried to uninstall it again, it staid Windows Installer Service could not be accessed (I'm guessing it must be done in normal mode?). Tried again in Normal Mode — success, then Windows explorer crashed (The program can't start because API-MS-WIN-Service-Core-L1-1-0.dll is missing from your computer.) And restarting. So always when you restart the computer you get this message? No, normally, it just closes explorer, and stays there for a few, then restarts. Only stays open if opened in Safe Mode with Networking. These are weird entries. There shouldn't be a File Not Found. So I will check this to make sure that this doesn't cause our problems here. regedit /e %SYSTEMDRIVE%\Machiavelli.txt "HKEY_LOCAL_MACHINE\SOFTWARE\Microsoft\Windows NT\CurrentVersion\Winlogon"
This will create a text file called Machiavelli.txt in the root folder of your main drive (e.g. Machiavelli.txt). Please copy and paste the contents of this into your next post. sfc /scannow it states that 'sfc' is not recognized as an internal or external command, operable program or batch file. Are you sure you entered the right? If yes we will use another method to get SFC running. I think there are some files corrupt. 'regedit' is not recognized as an internal or external command, operable program or batch file. Yes, I copy/pasted and also wrote it out (the sfc command, that is). I tried it another time after doing the Norton, and it started to verify, got to 9%, then it ceased and computer crashed before I could copy what it said. @="Windows Search Group Policy Extension"
hopefully the below works. If not I will have to find another way to fix this. Click the Start button then click Computer. A new file, also called CBS (CBS.zip), but this time with a different icon, will be created. Attach this to your next post please. If it is too big, please use an alternative uploading method then send me the link (Dropbox, SkyDrive, SendSpace etc.). Double click on it to run it. It will take a few seconds to scan, then it will open a Notepad window with the log. Copy and paste the contents of this into your next post please! 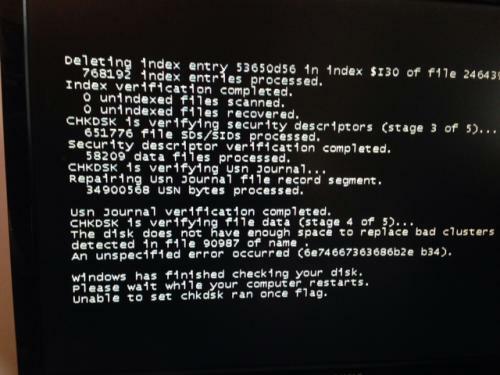 Chkdsk cannot run because the volume is in use by another process. Would you like to schedule this volume to be checked the next time the system restarts? Edited by kuratowa2, 03 May 2014 - 01:23 PM. Just to be sure: Still crashes? 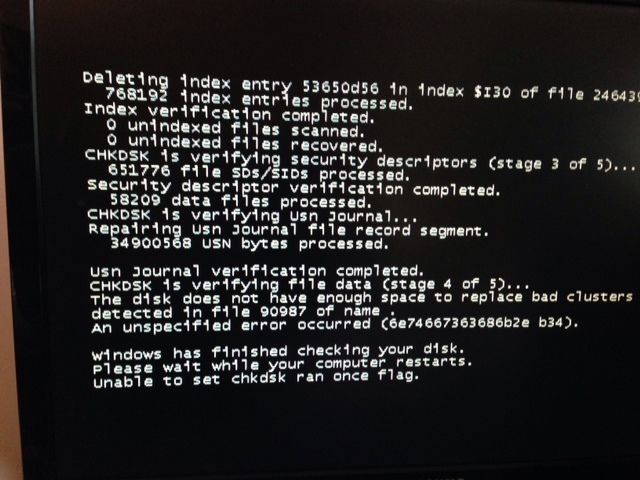 Yes; I restarted, and it is running a chkdsk again. then we trying Machiavellis Mini Gun. Please click on Do It and wait until it is finished. Please click on Start - this will open a new screen. Report if this solved our problems. The newest version of Windows Repair is a little different looking, but I went to the page with System File Check (now Step 4), and clicked "Do It", and after it started verifying, the computer crashed. Finally got it thru to the scan/fix, and computer restarted — not clear if it did all it was trying to do. Computer crashed and restarted again after reboot. Should I try the tweaking.com Windows Repair again to make sure it finished? We are trying now to do a clean boot. For this follow the instructions here. Do you have crashes in clean boot?